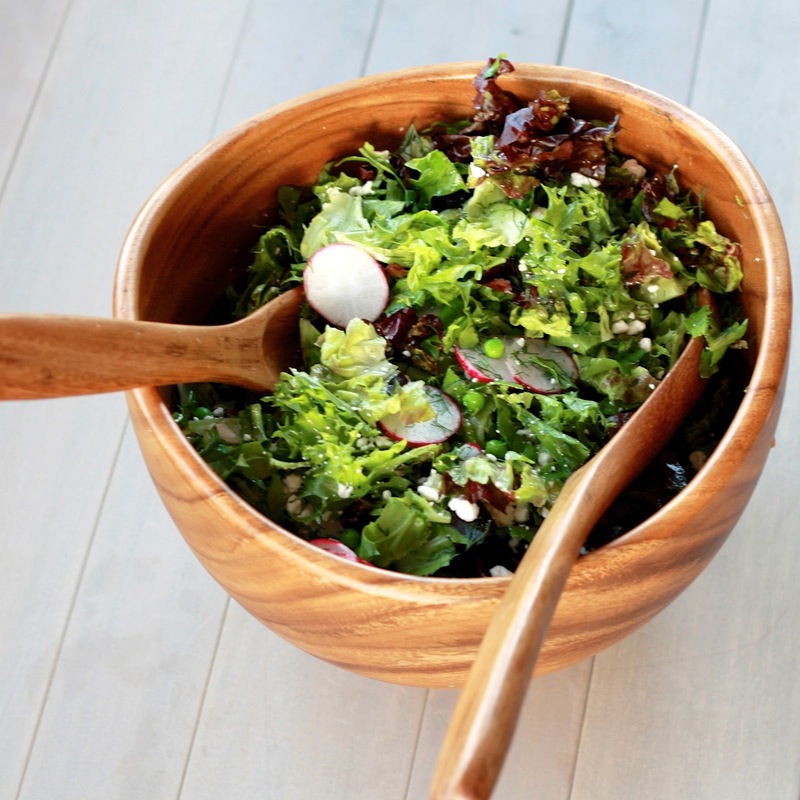 This is the perfect spring salad. Are you making Mother's Day lunch or dinner? You should consider adding this to your menu! My grandma made it for our Easter lunch and I hadn't even cleaned my plate before I asked where she got the recipe. What I liked about this is that it's so different than most salads I made, which include some sort of dried fruit, cheese, and nuts. 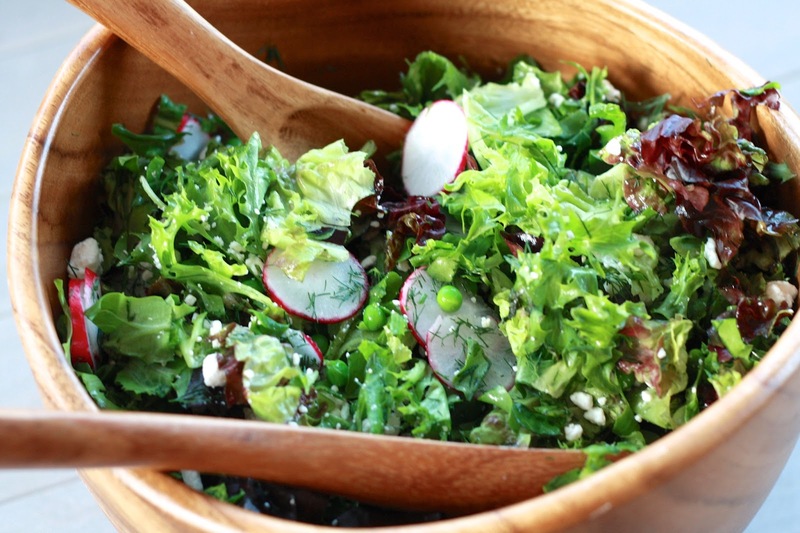 This features peas and radishes, two very springlike ingredients, along with a whole bunch of chopped dill. If you don't like dill you can easily omit, but again, I liked it for helping set this salad apart as something special. The original recipe didn't include any cheese but my grandma wisely added crumbled goat cheese to hers, and I of course did the same to mine! 1. Whisk together olive oil, lemon juice, mustard, honey, 1/2 tsp salt, and 1/4 tsp salt in a small bowl. Stir in shallots. 2. 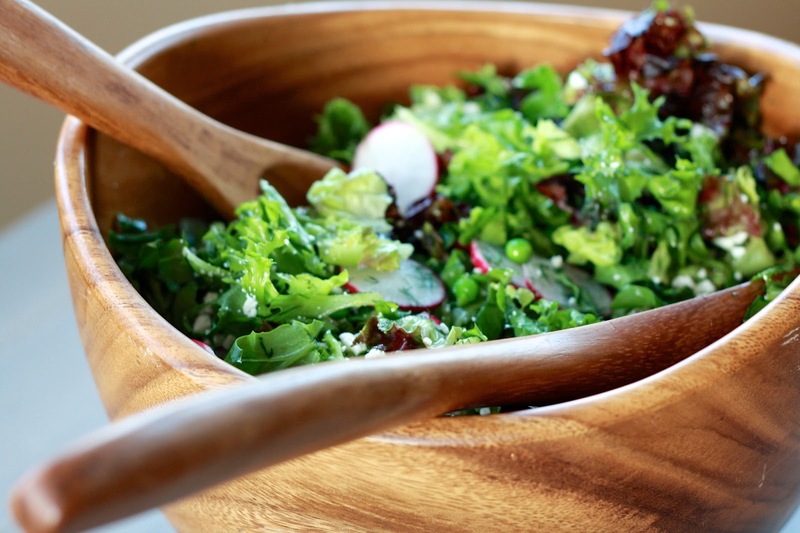 In a large bowl, combine lettuce, radishes, peas, and dill. Toss with vinaigrette and goat cheese just before serving.